In every community there is one neighborhood "of choice". In Bonsall, if not all of San Diego County, Hialeah Estates is such a neighborhood. 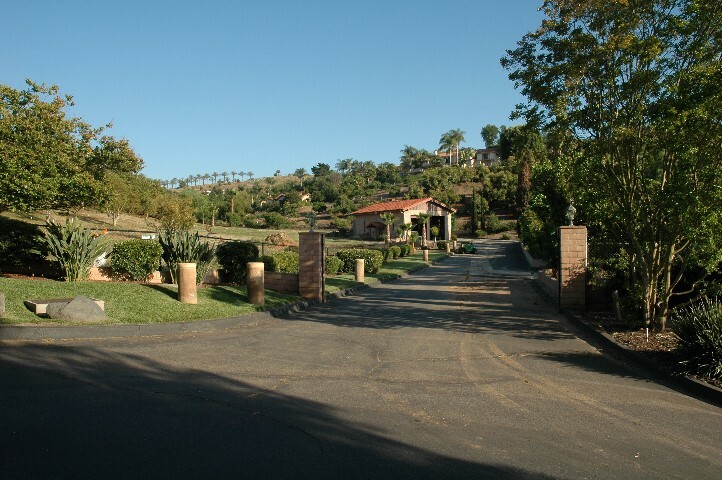 Very prestigious estates offered from $15,500,000 to a raw land building site at $395,000. The property we are offering at 30558 Via Maria Elena is an incredible opportunity... and classic great investment. The less expensive home in a much more expensive area. To say that Hialeah Estates is desirable is an understatement. The last property we offered in Hialeah Estates... had 13 offers. 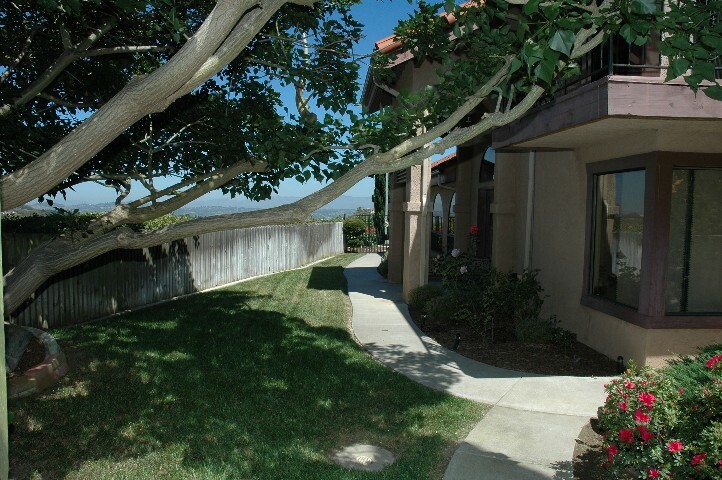 One of the first things people notice about Hialeah Estates is the privacy and seclusion. Most of the photos that we show will be from a distance to capture that feeling. 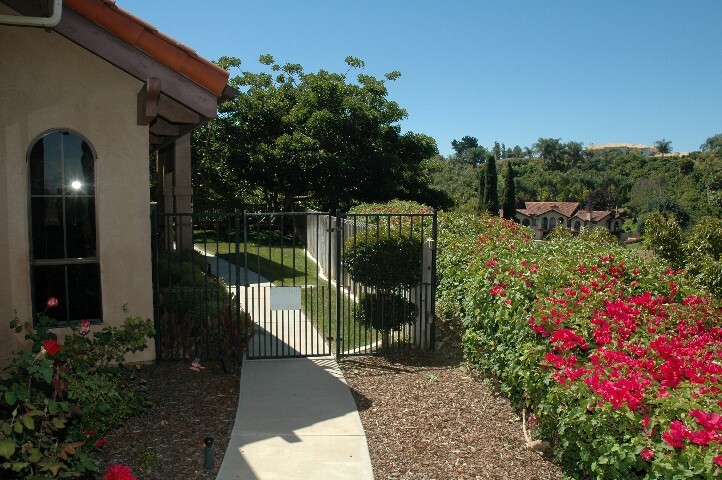 The property offered is on 2.89 very private, avocado groved acres. 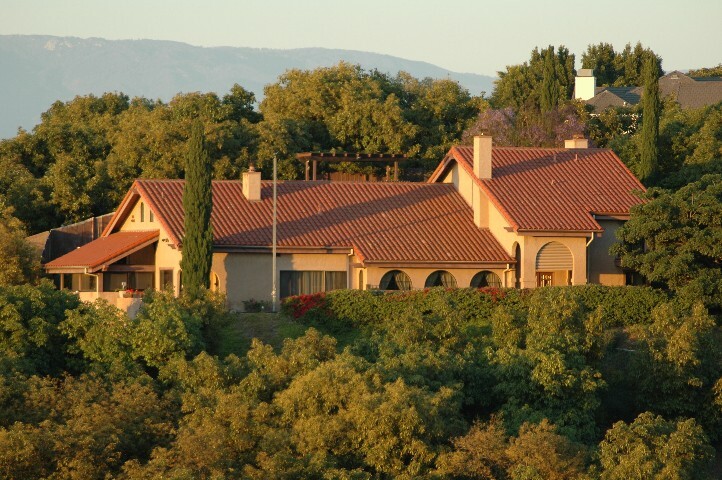 The 3,199 square foot home sits at the end of a long private, gated drive... high above the grove. The home is very well built with exceptional attention to mechanical and construction details. One of the most unique properties of the parcel is that it has enough flat space for horses, or a pool, or a tennis court... and already has a spectacular 38' Inside dimension, dual bay RV Garage and or barn with separate paved easement access. This truly is one of the very best parcels in Hialeah Estates. The two photos above show the 38' RV garage, as well as the location to the home. The house sits at the back corner of the parcel... with shaded walk through the grove to the RV garage. This is the "Tim Allan" garage. Inside dimensions are 38'10" x 28'9", and there is a second floor loft that measures 15' x 26'6". The two bay structure enjoys two 10' wide x 12' high arched steel doors, it's own 100 amp service, two 30 amp 240 volt circuits, and 110 volt outlets everywhere. Pre-wired with it's own security, and six wrought iron barred windows and steel doors.. this is the place to store the "Family Motor Coach" or car collection. The RV garage has excellent separate access along a paved easement road. Turning the big rig around here will not be terror striking. The two photos above capture the view from one of the view decks, and the entry portal off of the kitchen. 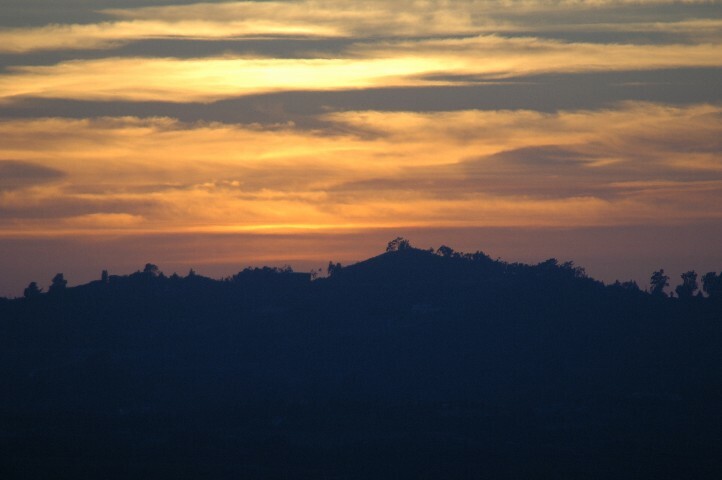 In the winter time.. these views are accented by the snow capped San Gabriel and San Bernardino Mountains. The valley pictured is the San Luis Rey River Valley and the source of the daily ocean breezes. Sunset Western Garden Book has this in "Zone 23". This is the best source for weather we have found. 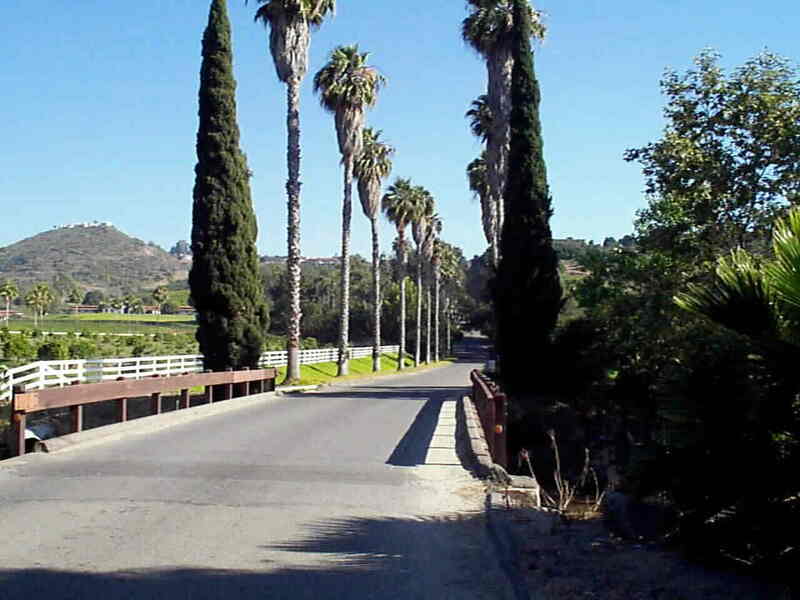 In San Diego County.. all of the weather is great.. so we split hairs about degrees of paradise. If there is weather paradise... this is it. As Sunset Western Garden Book describes zone 23: "This is one of the most favored gardening climates in North America for growing subtropical plants"..."an air-drained thermal belt controlled 85% of the time by the influence of the Pacific Ocean; only 15% of the time is the determining influence the interior land mass". Basically we are talking "Frost Free" with very rare exception... more Sun with no marine layer in the Summer, and yet not as hot as the other interior valley zones. In the photos above you will see Avocado groves, Lime groves, Grapefruit groves, Oleander and Gardenias... If you like to garden... here is your site. The first of the two photos above show some new construction across the street and West one parcel. This building site recently sold for $320,000 and they are building a 5,000 square foot home... another million dollar neighbor. To see larger images and more detail (if you are using Netscape) "right click" on any of the photos, and choose "view image"
To see the shape of this parcel, please visit San Diego Geographic Information Services On Line This link should load a plat map of this particular parcel. If you have trouble with this link.... go to www.sangis.org choose "Interactive Maps" and then "Query" on "Parcel Number". The parcel number is 127-390-20-00. This is the private road entrance to Hialeah Estates. The property shown on the left here is currently listed for $15,500,000. The next home up the hill is currently listed for $1,125,000. This is an incredible location... with unlimited appreciation potential.